Most of the reading done without eyes is through audio, such as audiobooks and the like. 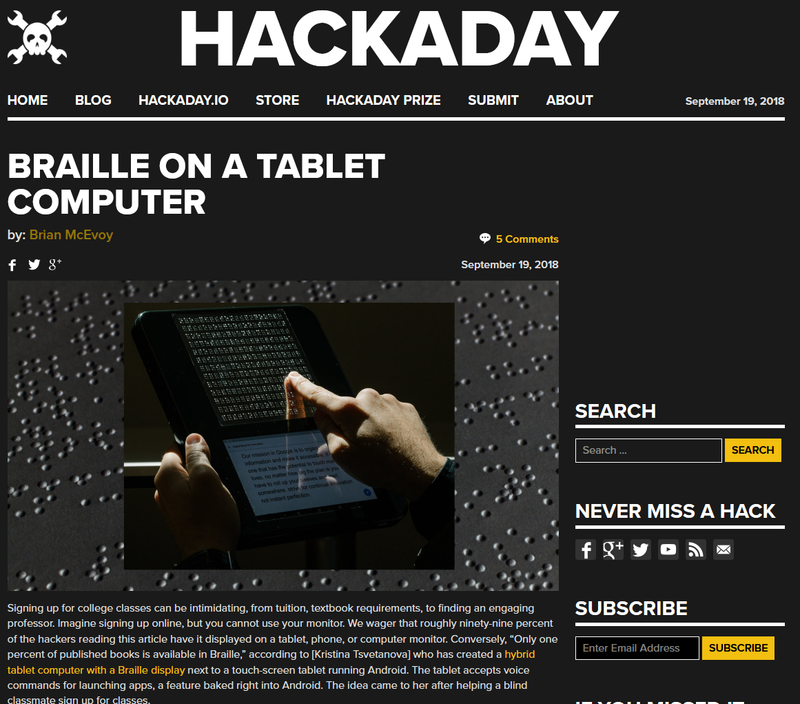 Braille is a small sector of sightless reading, partially due to the low percentage of Braille-published material and that is driven by the percentage of people who can read Braille. 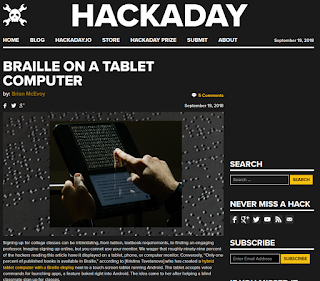 The purpose of this tablet is to make Braille more approachable to the blind by mass-producing a tablet which can produce Braille cells from books or live media, like websites, on demand.